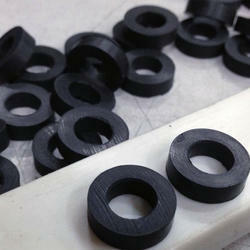 Prominent & Leading Exporter from Mumbai, we offer viton rubber. Because it can extend the thermal resistance of mid-performance elastomers, Viton has been used extensively in aggressive automobile fuel systems as well as aircraft and chemical processing environments. Viton was also the first fluoroelastomer to obtain worldwide ISO 9000 registration. Looking for Viton Rubber ?